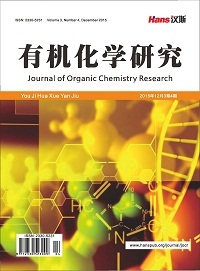 Via quantum chemistry methods such as MP4(SDQ) and 6-311++G** basis-set, we conducted cal-culations on selected representative molecules that involved in various kinds of hydrogen bonds (H-bonds), and examined molecular orbitals as well as electron density difference (Δρ) before and after formation of H-bonds. We investigated formation mechanism of blue-shifted H-bonds by means of a new concept about H-bonds, proposed multiple forms of implicit interactions in molecules, and discussed inheritance, inclusion and development of the new concept about H-bonds with respect to past H-bonds studies. 周光耀. 氢键的量子化学研究(一) [J]. 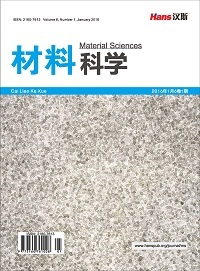 物理化学进展, 2015(4): 84-101. Hobza, P. and Havlas, Z. (2000) Blue-Shifting Hydrogen Bonds. Chemical Reviews, 100, 4253-4264. Hobza, P. and Havlas, Z. (2002) Improper Blue-Shifting Hydrogen Bond. Theoretical Chemistry Accounts, 108, 325- 334. 周盼盼. 分子间弱相互作用体系的理论研究: 氢键、范德华相互作用和卤键[D]: [博士学位论文]. 兰州: 兰州大学, 2010. Kseniya, M., Leonid, K., Jan, L., Alexandra, D. and Markku, R. (2010) Matrix Isolation and Ab Initio Study of Trans- Trans and Trans-Cis Dimers of Formic Acid. 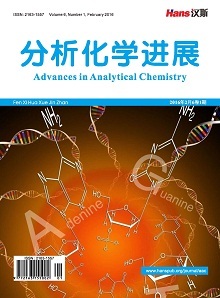 The Journal of Physical Chemistry A, 114, 3495-3502. 闫秀花, 黎安勇, 王素纹, 苗树青. 双接触蓝移氢键PH2…Y的理论研究[J]. 西南大学学报(自然科学版), 2008(30): 25-31. 倪杰. 分子内超共扼对于氢键性质的影响[D]: [硕士学位论文]. 重庆: 西南大学, 2009. 周光耀. 范德华作用的量子化学研究(一) [J]. 物理化学进展, 2013(2): 21-26. Hobza, P. and Sypirko, V. (1998) An-ti-Hydrogen Bond in the Benzene Dimer and Other Carbon Proton Donor Complexes. 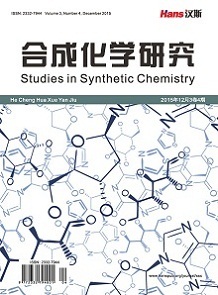 The Journal of Physical Chemi-stry A, 202, 2501-2504. Sławomir, J.G. (2006) Hydrogen Bonding-New Insights. Challenges and Advances in Computational Chemistry and Physics, Volume 3, Springer, Dordrecht. 张翼, 杨颙. 氢键研究进展[J]. 化学教育, 2007(2): 7-9. 王海燕, 曾艳丽, 孟令鹏, 郑世钧. 有关氢键理论研究的现状及前景[J]. 河北师范大学学报(自然科学版), 2005(29): 177-181. 纪爱萍. 蓝移氢键起因的理论计算研究[D]: [硕士学位论文]. 济南: 山东师范大学, 2008. 吴军, 涂宏庆, 崔云康, 唐春红. 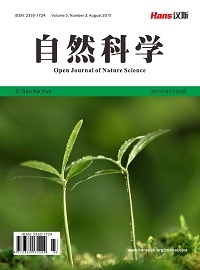 氢键的量子化学研究方法[J]. 计算机与应用化学, 2015(32): 903-906. Hobza, P. and Zahradnik, R. (1988) Intermolecular Interactions between Medium-Sized Systems. Nonempirical and Empirical Calculations of Interaction Energies: Successes and Failures. Chemical Reviews, 88, 871-897. Li, X., Liu, L. and Schlegel, H.B. (2002) On the Physical Origin of Blue-Shifted Hydrogen Bonds. Journal of the American Chemical Society, 124, 9639-9647. James, B.F. and Eleen, F. (1996) Exploring Chemistry with Electronic Structure Methos. 2nd Edition, Gaussian Inc., USA.